Implement in your apps «Save as PDF» feature SDK offers all functions required to generate PDF documents on the fly. Pdfium.Net SDK Equip your .NET apps with industry-fastest PDF rendering capabilities. Open, view and edit PDF files from your app with a few lines of code. No Adobe Acrobat is required. PDF Viewer - Adaptive open source PDF viewer for WPF and WinForms applications. Pdfium.Net SDK is a .Net class library designed to fulfill most of common needs a developer. See a full comparison for details about our license bundles. Display PDF documents in your WPF apps. Know more about our other products. Unbeaten processing speed provided by Google’s PDFium project allows Pdfium.Net SDK to deliver high-performance viewing, searching, printing and editing of PDF documents and filling PDF forms. And thanks to excellent optimization, Pdfium.NET SDK works fluently even on low-end systems, consumes little resources and therefore powers up your applications with extreme user friendliness and responsiveness. Pdfium.NET PDF library supports the entire range of PDF rendering capabilities. Let your customers enjoy clear, sharp and accurate texts, objects, annotations and forms. Supply all functions and operations over PDF documents: viewing, printing, zooming in and out. Control the rendering process from your application or run it in the background for the best user experience. We have a rich documentation. This documentation aims to give beginners and advanced users an overview of what is possible with the Pdfium.Net SDK. The documentation contains more than 3000 detailed, developer-targeted, MSDN styled topics, with conceptual overviews, definitions of terms, workarounds, and working code examples. Open large PDF documents and web documents fluently thanks to asynchronous reading. The idea is simple: once the first page is loaded, the reader displays it and continues loading the rest of the document in the background. Why make your users wait? Apply asynchronous reading provided by Pdfium.NET library and start displaying contents of a PDF file almost instantly with the rest uploaded as the user reads. 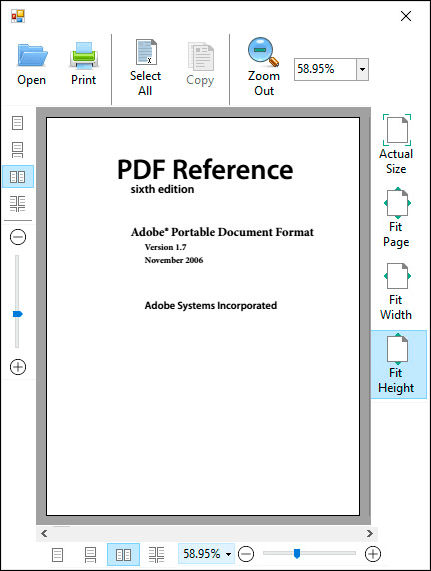 With Pdfium.NET SDK your apps can manipulate pages of a PDF document like a charm. Add or remove pages, merge or split PDF files, extract a range of pages and save as a new document with minimum coding required. The extremely fast text processing engine of the library allows you to search, select, extract and fetch any given text from a PDF document in a blink. Use the text locally on at the server side to provide texts to search index services. A part of what makes Pdfium.NET SDK so powerful is the special page object editing API. With all the flexibility it provides, you can easily edit headers and footers, add images, manipulate with paths and texts on a page therefore building a full-featured custom PDF template on demand. Imagine a trigger popping every time a specific action is performed and launching a custom event handler where the developer can configure document-level or page-level information to add to the document. Actions include opening, closing, saving or printing a PDF document. Embed 100% standalone PDF Viewer to your app. Customize the look. Handle events and enjoy dramatic interactivity. Bestow the ability to view PDF files to your .NET app! With multiple view modes, nuanced customization and complete support for Acroforms PDF Viewer fits into your application seamlessly and tailored to your design. Finally, display PDF documents the way you want. Choose between horizontal or vertical layout, one, two or more pages per screen. Tile, rotate, scale them up or down. Get the full control over how a page is drawn: custom margins, colors, buttons and toolbars – the entire look of the control is customizable. Filling PDF forms from the app or acquiring form data from the document to process in the program – PDF Viewer does both in the most natural way possible. With few lines of code, you are able to open a template form, parse it, supply new form data and save the new document under a different name. With PDF Viewer, not only can you open PDF documents, but also fluently work with texts. Select text fragments with mouse or from the code, copy to the clipboard, search for a given string across the document and many more. Plus, the control fully supports PDFLink, Action, Destination to deliver the most intuitive PDF navigation to your app. The control tracks all actions a user does in a PDF document and allows the developer to handle them. For example, you can intercept selections, clicks, scrolls, opening and closing of a document and so on. Handle the event and process it they way you want: permit or cancel it, modify data, ask for additional parameters or user confirmation. PDF Viewer already has pretty much everything you need to add full-functional PDF capabilities to your app with minimum effort. And as soon as you need more – this .NET control comes in source codes, so it is easy to add anything you miss so far. The source codes are available on GitHub and are supplied in the setup package too. Do you want to make a searchable PDF out of the scanned document? 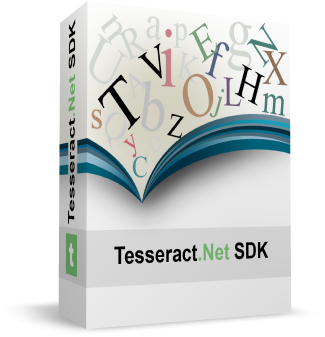 If you do, Tesseract.Net SDK is the library you need.